Tembe Elephant Park – Travel Guide, Map & More! Tembe Elephant Park is a place for all elephant lovers. This is one of the few places in Africa (and the only place in South Africa) where you can still see some of the remaining legendary big tuskers. 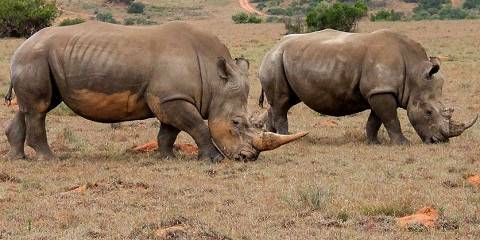 The park is Big Five territory and offers a very exclusive wildlife experience. Tembe is a public park with the lodge being owned by the local community. It offers all-inclusive packages. When staying at the lodge, you'll get an experience that is somewhat comparable to a private reserve but at much lower rates. There is a limit to how many self-drive visitors are allowed to come into the park; only 4x4 vehicles are permitted. Tembe's elephants are acknowledged giants. The bulls are huge in size and their tusks are phenomenal. The wildlife shelter at the waterhole is the best place to sit and watch these giants coming and going. All other major safari animals are present, but big cat sightings are hit-and-miss. 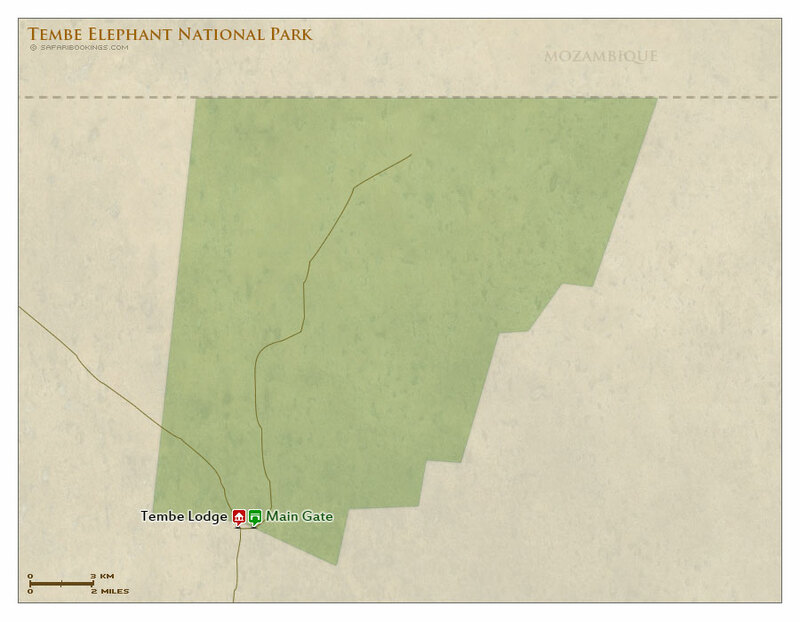 Tembe Elephant Park is a critical part of a planned transfrontier park on KwaZulu-Natal's northern border with Mozambique and Swaziland. It protects a tract of very rare sand forest, home to many birding specials. Other habitats include thick woodland and wetlands. As Tembe is located close to South Africa’s east coast, rain sometimes falls during the dry months of winter (May to September). However, in general, the sunshine will not be hampered by cloud cover. The warm days of this period transform into cold nights. The summertime (October to April) sees frequent afternoon downpours, and the temperature shoots up, along with the humidity. The elephants and other wildlife in the park are most visible during the Dry season (May to September) when a lack of available water forces the animals to gather at the main waterhole. 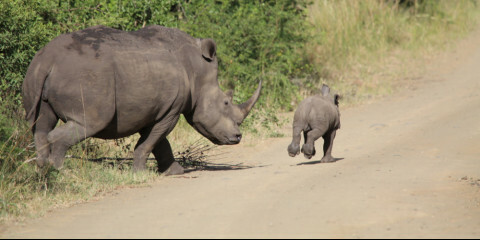 Conditions for game drives are also quite pleasant, with clear skies and little rainfall, unlike the Wet season (October to April) and its daily thunderstorms. 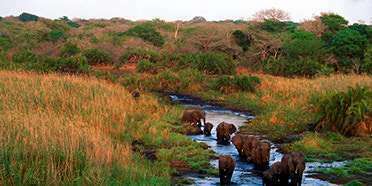 Want to Visit Tembe Elephant Park? Love Tembe. The elephant sightings are fantastic. Mahlasela Hide is a real highlight. The lodge si tented and community owned and run by a great team under Ernest. Love it!